VUV spectroscopy has unique capabilities that address many of the challenges inherent to gas chromatography—which has already positively impacted existing lab operations. Benefits of GC-VUV include: a universal detector, shorter GC run times, and accurate quantitative and qualitative analysis. Read more about GC-VUV in our eBook, The GC-VUV Toolkit. How does VUV Spectroscopy benefit you? 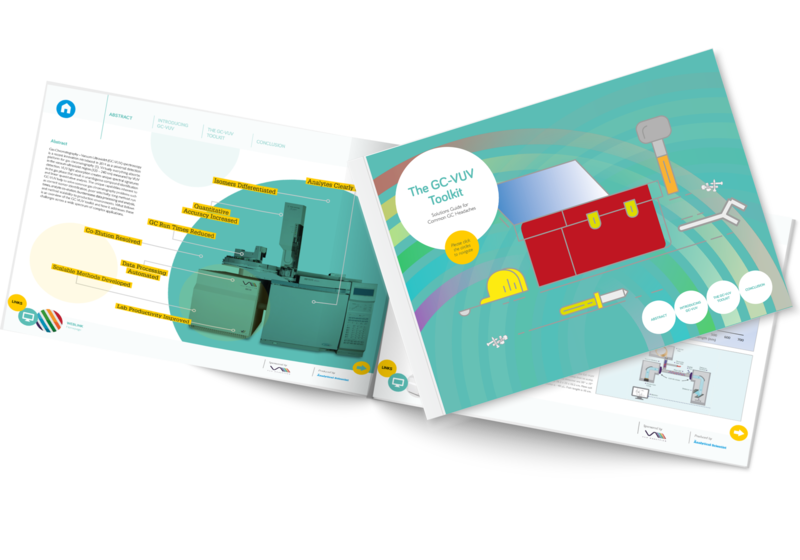 Download the latest eBook to see all the features and applications that GC-VUV offers.